Worst Foods for Diabetes-Never Eat These Foods, Ever! There are certain foods that trigger blood sugar levels for those with diabetes, so if you are trying to lower blood sugar and stay healthy, there are certain foods that you must avoid. One of the most important things about eating is portion control. 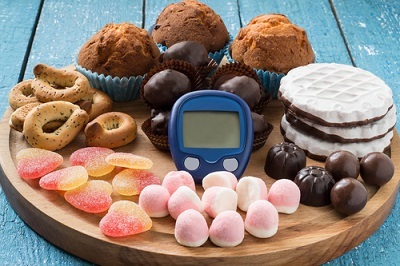 Even though the worst foods for diabetics cannot be strictly categorized because individual’s body is different, just as the way they react to food is different. Foods you eat should be measured in portions to avoid a hike in your blood sugar. Carbohydrates such as fruits, pasta, potatoes, and other simple starches which are relatively swift to break down can be eaten in moderation as part of a well-balanced diet, but should not serve as a standalone meal or snack. Staying away from unhealthy fats should be your main goals, such as processed grains, liquid sugars and other foods that contain refined carbs. Avoiding foods that increase your blood sugar levels and drive insulin resistance can help keep you healthy now and reduce the risk of future complications as it regards to diabetes. The more high or complex in fiber a carbohydrate is, the more you can eat of that particular carbohydrate. Combining carbohydrates with different kinds of things can slow absorption and delay the release of sugar into your bloodstream. Most commonly paired foods that include whole grain cereal, beans and rice, and milk. This allows you to eat more than one kind of carbohydrate at each of your meal. Eating food that contains protein is superb for type 2 diabetics as long as there is no sign or trace of kidney disease. Reducing protein in your diet can slow the progression of this complication by relieving some of the burdens on your kidneys if renal failure is pending. Animal protein can be replaced with more easily digestible foods that still deliver protein. They include whole grains, legumes, and nuts. Another thing that is necessary for your body are fats, but avoid trans-fats in favor of healthy fats like those found in avocados, seeds, and nuts. Preferably, low-fat diets are needed for diabetics trying to lose weight, but don’t exclude fat entirely from your diet. All you need to do is just focus on limiting fats to non-saturated fats found in fresh food. It is important to note that some foods on the “best” list still appear to cause your blood sugar problems and some foods on the “worst” list don’t influence you negatively at all. That should not call for concern as you can track your own diet and adjust it to recompense your own specific needs, then you will know your best and worst foods. 1) High Glycemic Index foods: The Glycemic Index (GI) was invented, advertised and talked about all the time for a reason. The glycemic index measures how long it takes for a particular type of food to put additional sugar into your bloodstream. The higher the number it takes, the faster the food turns into sugar, which will bump around inside you and cause damage to your most sensitive and useful body parts. Avoiding these foods, such as white bread, sugary candy, sugar cubes and most kinds of breakfast cereals are usually a good idea, and failure to avoid such foods will typically result in serious health problems by the end of the day. 2)-Foods with nothing but hollow calories: Those with Type 2 diabetic are more prone than the average person to gain weight. And having known this, eating food with no significant nutritional value is just a license to gain weight. In addition you will experience additional problems which high blood sugar and insulin levels add to your life. Eating foods with hollow calories gives joint problems, additional strain on your internal organs, and a look at the mirror, you will be appalled at what you see. It is not by chance that most hollow calorie food items also happen to have a high GI. Therefore, avoiding this aisle in the supermarket is a very healthy move to make. 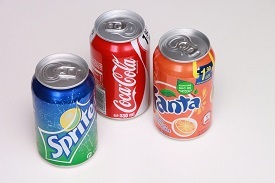 3) Carbonated beverages: Beverages are not food in the technical sense but you need them to live. There are good reasons why you should drink milk, that is if you are okay with consuming products that come from an animal. High GI juices are invulnerable in moderation because they contain large amounts of micronutrients. However, there is categorically nothing good about energy drinks and sodas. They are toxins which will dehydrate you. Even though they are not as bad as a jar of battery acid fresh out of the microwave, they are far worse than simple, cheap, healthy water. 4) Cookie dough. You might like cookies, but they certainly don’t like your body. Things like processed cookies in the disreputable cookie rolls are loaded with very high fat and calorie counts. The hydrogenated oil and unsaturated fat contents loaded in them are almost off the charts. White Bread, Pasta and Rice. 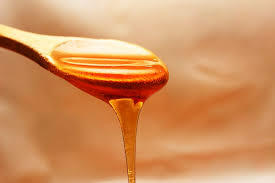 Honey, Agave Nectar and Maple Syrup. Packaged Snacks and Baked Goods. Sugar-Sweetened Beverages: There are a good deal of calories in beverages that contain sugar. The calories do not provide any nutritional value at all. Beverages containing sugar will not give you that full feeling whereas food does provide you with the feeling of being full. Those additional calories are going to lead to additional health risks that may include: type 2 diabetes, decaying of your teeth, gaining weight and becoming obese and heart disease. Trans Fats: What trans fats does is that it lowers the good and raises the bad cholesterol levels. You do not want to consume trans fats because they help to raise your risk of developing type 2 diabetes. The result can also be linked to strokes and heart attacks. A good example of trans food includes cakes, pies, and cookies, biscuits, sandwiches, margarine, crackers, microwave popcorn, cream-filled candies, and doughnuts. 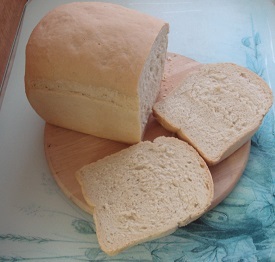 White Bread, Pasta and Rice: The grains present in white pasta, white rice, and white bread are refined through a milling process that takes off the bran layer and gives them a much a finer texture. After that process, these foods are little more than carbohydrates that your body digests quickly and easily, hence they are a red flag for a diabetes-prone diet. The more white rice you eat, the greater your risk of type 2 diabetes. White rice and pasta can cause blood sugar spikes similar to that of sugar. Fruit-Flavored Yogurt: Any flavored yogurt that contains alternative sugars like fructose, glucose, sucrose should be avoided as they are not healthy. Flavored yogurt with a high amount of sugar should also be avoided. However, studies also show that a diet high in calcium from yogurt and other calcium-rich foods is associated with a reduced risk of type 2 diabetes. Sweetened Breakfast Cereals: It is not all cereal that is good for breakfast. Processed, refined and high sugary cereals are rich in carbohydrates, calories, and sugar. When making a choice of a cereal, it’s important to choose a cereal that is low in sugar and high in fiber. Flavored Coffee Drinks: Several studies have shown that drinking coffee up to 8 ounces cups a day is associated with a dramatic lowering of the risk of getting type 2 diabetes. On the contrary, if you have diabetes, you should avoid caffeinated coffee as the caffeine has been shown to raise blood sugar levels slightly. Honey, Agave Nectar and Maple Syrup: It was observed that honey should only be used sparingly and certainly not as a remedy for diabetes. Maple syrup has anti-inflammatory properties and antioxidants, which could make the effects of other sweeteners less harmful. The study also has compared agave to table sugar, which is already known to be harmful to people with diabetes. While maple syrup does consist of a few minerals, that does not make it a good choice to consume because it does contain too much sugar. Dried fruit: A diabetic can eat dried fruits for nutrients like fiber, minerals, vitamins, and oxidants, because of dehydration, dry fruits are just higher in sugar per gram compressed in a smaller volume. When you eat dried fruit, excess added sugar is unnecessary, especially if you are a diabetic. Full-Fat Dairy: Lactose is what gives milk its sweet taste and contributes a reasonable percentage of whole cow’s milk’s calories. There is every tendency that lactose will raise your blood glucose. However, a researcher stated that the insulin response to milk is “extreme,” and advises people concerned about diabetes to avoid milk products. Now you know what the worst foods for diabetes are. You must avoid these at all costs because these foods will ruin your body and your health. These are the foods that cause and add to diabetes. So make it a point to never ever eat any of these foods! Lower Your Blood Sugars Right Now! Pre Diabetes Symptoms For Women-Why This Includes Men Too! Very informative, diabetes runs in my family. My father got it from his parents, I am so bound to have it. However, I have been watching what I eat all the time. I control my portion religiously but sometimes I binge on my favorite food. You see I’m from Thailand, when I get to eat delicious Thai food I made the exception and binge on it lol. Omg I didn’t know that cookie dough is bad for you! awe that is my favorite! What about homemade smoothie? I used only unsweetened almond milk, a banana, mixed berries, is it safe to drink? What about black coffee? Great post, thanks for elaborating it. It’s so important to avoid diabetes and you can do that by avoiding these foods. They are loaded with sugar and that’s toxic. Anything that doesn’t contain sugar should basically be fine. Cookie dough is really bad! Your smoothie sounds awesome so as long as it doesn’t contain sugar it would be a go on my list! Black coffee is okay with moderation of course. A very informative article not only for those with diabetes but also a sort of warning for those who are fond of eating such kind of foods for them to avoid developing high sugar and diabetes too. It’s really pity for those who are diabetic as almost all delicious foods around are detrimental for them and perhaps a lot of them continuously eat some of these as they’re not aware it’s not good for them. Can’t help but just remembered my diabetic co-worker who is so obsessed of drinking carbonated soda. I happened to ask him why he’s drinking such knowing his situation and the sugar content of it. He answered back, “it’s just fine because this is coke-zero”. May I then ask your kind opinion on this? It should be common sense that any sugary foods are no good for you. But they are addicting and that’s what sugar does to you. Unfortunately that leads to weight gain and type 2 diabetes at some point. Folks should never be eating these foods and if they are, it must be stopped at some point. It’s not an easy thing to do, but it’s mind over matter. Sugar is toxic to the body! Diet soda is THE worst thing for you! It is no better than regular soda because artificial sweeteners trigger insulin, which sends your body into fat storage mode and leads to weight gain! This post is really useful, so thank you. Fortunately, I don’t suffer from diabetes but like you said, these foods are bad either way so the best thing is to just avoid them all together. I do, however, believe that it is okay to treat yourself once in a while, with emphasis on once in a while. It’s easy to get addicted to these sorts of food so if you make sure not to eat them too much, then you avoid the possibility. Once again, thanks for a great post. Thank you! It’s good that you don’t have diabetes. The healthier you eat the better chance you have of not ever developing type 2 diabetes. I do agree with you as far as treating yourself once in a while, but the problem is that you get addicted to sugar. Sugar is toxic and addicting so the best thing to do is to try and avoid any sugary foods altogether. These toxic foods are not worth contracting type 2 diabetes for! This is perfect for my father in law. He has diabetes, but doesn’t care about it. He drinks and eats all you have mentioned, and we know it is bad, but he doesn’t want to believe. I will share this post with him and see what he says about it! Thanks for sharing it with us, it is a help! It’s a shame that he has diabetes and doesn’t care. If he gets it under control, he can live a normal life. It’s all about lifestyle change. These junk foods are just adding to his bad health and making it worse. We all need to avoid these foods because that are the worst for diabetics. What a fantastic wealth of information you have here! While many of my friends and family members suffer from diabetes, I am lucky enough to not be afflicted. That being said, knowing that my family has a genetic predisposition for diabetes encourages me to learn as much as I can, especially since I now have children that could be at risk. Your article isn’t JUST a reference for diabetics though, as it discusses at length how our bodies process different elements and can easily be used by everyone to make better, healthier food choices. I am a strong advocate of healthy, all-natural eating. I try to eliminate as many processed and artificial foods from my family’s diet as I possibly can, and try to purchase all of my meats and produce from local, mindful sources. We avoid sugary foods, especially ones with artificial sweeteners. Your article has given me even more encouragement to continue on our path of healthier eating. Hopefully by making more mindful choices about my children’s food now, I can help them avoid any medical complications (like diabetes) later on. First of all, thank you so much! I want to provide to my readers the best and most extensive detailed information that I can. I don’t want anyone who is either prediabetic, or anyone with diabetes to be eating these foods because they really are the worst foods you can eat. It’s not only diabetes that is affected by poor eating. It’s everything. Poor eating habits and no exercise are the causes of way too many health issues, especially diabetes. I do hope that anyone reading this stays away from these horrible addicting toxic foods! I have to say that the information on your site Rob has been invaluable for me. As you know my son is more prone to diabetes because he has to take testosterone on a daily basis. I have been taking some of your information and added some supplements, and his labs came back….his doctor actually just called me…and his levels are down and he is good at the moment. YAY So thank you for all this wonderful information. Thank you Leahrae! I know it’s important for your son to be careful with his health. The junk foods are the worst for a diabetic and they are all loaded with sugar. I’m happy that I can somehow help and provide information that can help him in any way. The supplements are awesome and I only recommend a product that really works. I love the fact that he got good news back about his labs! Glad I could help any way I could! Thank you for your comments! I always appreciate hearing from you!